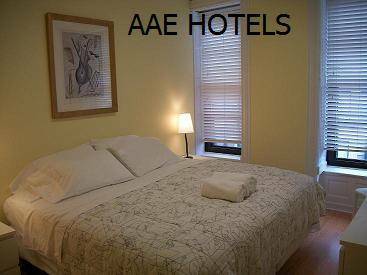 We offer all private rooms with shared baths in all new rooms with AC. 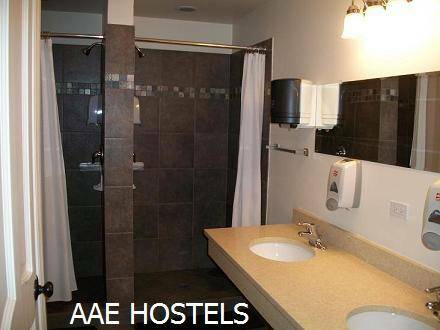 We are the only hostel you can walk to from Main Train or Bus station and our new renovations make us a great place to stay! 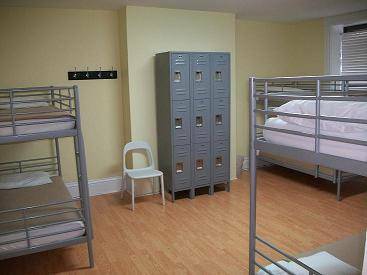 If you book with us, you can pick between 1-6 bed private rooms as well as youth dorms included with linens and private lockers. All guests receive free wifi and breakfast each morning! We are located in Greektown only 3 blocks away from the Willis Tower and walking distance to all attractions such as Navy Pier. The blue Line Station is on our block as well. Cancellation must be made 48 hours in advance by email only. All no shows and late cancels will be assessed the first night charge. Group cancellations must be made 7 days prior to arrival. Chicagoland are residents are not allowed to stay at this property. Minors are not allowed in the dorm rooms. When coming from O'Hare airport, take the CTA BLUE LINE and exit at the Halsted Street Station. We are one block from the station. This is a very cheap option and saves you money compared to Taxis..
From Midway airport, you have to take the Orange Line to Clark/Lake stop. Go downstairs and take Forest park Blue Line to UIC/Halsted stop. When you arrive we will provide you with a transit map full of bus/train routes on our block!